There's a reason vintage homes continue to be used in romantic comedies and TV shows and are a fixture in HGTV's lineup. With their unique details, charming wood interiors, claw-foot tubs, and cozy rooms, old homes have a lot of charm. When we moved into our 1915 Chicago brownstone, we immediately fell in love with the original character of the house. However, there were some aspects about living in a 100-year-old building that felt restrictive. After all, how could a building that old ever feel fresh and modern without sacrificing the original details that drew us to the home in the first place? 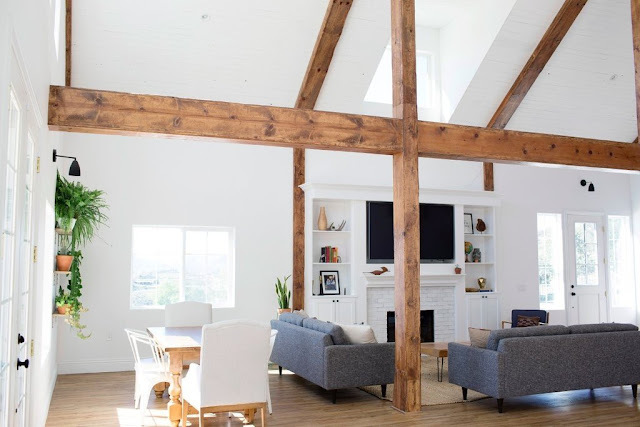 Subscribing to a mantra similar to Nicole Curtis, our goal when modernizing the home was to not do anything that would be too dissimilar to how it looked originally, while still modernizing what we could.